Did you know that there's going to be a third book in the Me Before You series? 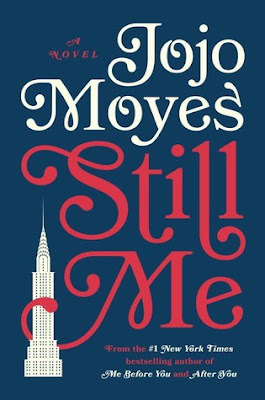 I am SO super excited to read Still Me, as I loved both Me Before You and After You. and I can't wait to get back into the story! Nice pick! Not my kind of read but I hope you positively love it! I did a little happy dance when I saw this book announced. I am so happy that Moyes is not done with Lou's story. Woah I didn't know this series was still going! I've not read anything by this author, but I've heard good things about the books. And I love their covers. :D I hope you enjoy this book when you get the chance to read it!